TheWirk.com ~ voted BallHyped.com's 2010 "Best Independent Sports Blog": Beats, Rhymes, and Life: The Story of A Tribe Called Quest ~ Documentary to debut "soon"
Beats, Rhymes, and Life: The Story of A Tribe Called Quest ~ Documentary to debut "soon"
Let's take a break from sports and do music for a minute. 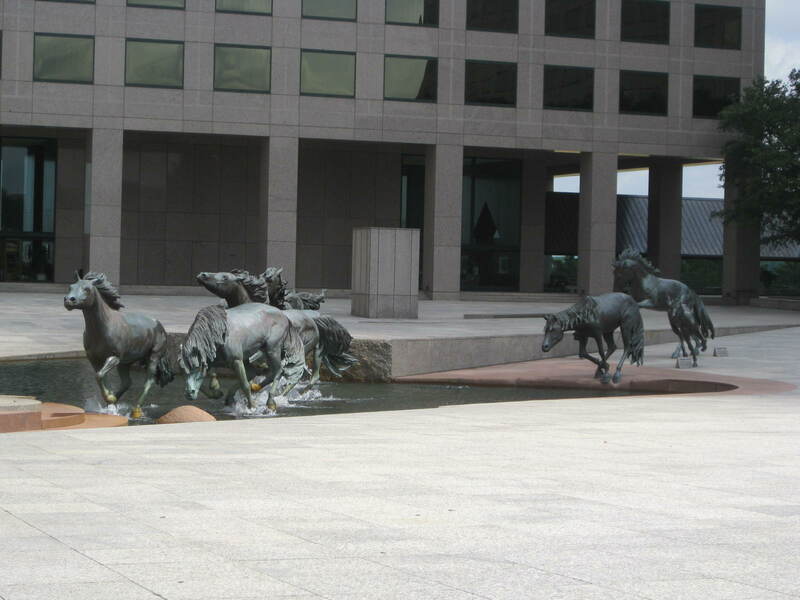 **** I had been hearing about the tour from my friend over and over and over again, and I'll admit that I hadn't been paying attention. Next thing I knew I was visiting my brother in South Beach and he asked me if I knew anything about the Rock the Bells show because he wanted to go. Seriously?!?! Very strange. He's a music guy, but I had no idea that he'd want to see A Tribe Called Quest, Nas, Mos Def, and De La Soul... Sure enough, it took a phone call, but I had him set up. My brother was texting me pictures from the stage. What the... Um, yeah... 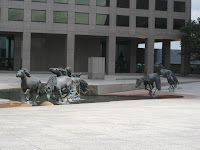 I decided that if I could work the flights, I'd make the trip, and as usual ~ it all worked out (i.e. or "wirked" out). 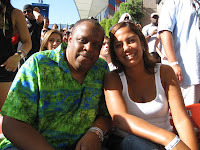 I was invited to Rock the Bells by a friend of mine named Gary Harris. At the venue, he mentioned that Michael Rapaport would be around filming, since he was shooting a documentary about A Tribe Called Quest. Well, according to the trailer I saw today, the documentary is called, "Beats, Rhymes, and Life: The Story of A Tribe Called Quest". I was at the show on August 16, 2008 in San Francisco. I was backstage, onstage, and in the crowd taking in the scene. **** I even spent a few minutes in ATCQ's trailer after the show, while waiting for everyone to finish up, so we could leave. While backstage, I actually met Michael Rapaport (i.e. very briefly). He was polite, but it was obvious that the man wasn't there to socialize. He was there working and capturing footage. When I landed at SFO (i.e. the San Francisco Airport) I went straight to the Four Seasons in Palo Alto to meet up with the crew and head to the show. At the show I was happy to see such a great turn out. De La Soul did "Me, Myself, and I" and til this day it take me back to high school. 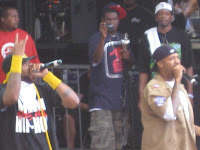 As for the rest of the show Method Man and Redman were entertaining. **** I'm not lying when I say everywhere I turned, I swear Redman was right there. I can recognize Murs in less than a second when I see him on TV, since I saw him walking around backstage. I also met Jay Electronica who just this week was signed to Roc Nation (i.e. Jay-Z's label) this week. 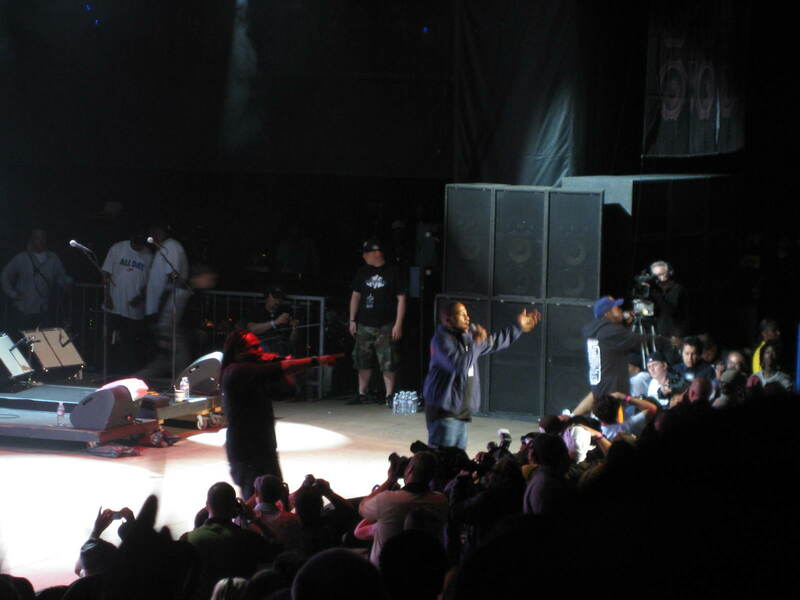 In the picture, you can see Jay Electronica taking pictures of Method Man and Redman performing. Nas performed also, but I've already voiced my feelings on his music in an earlier post so I'm not giving him any more time in this blog. Now back to ATCQ and Michael Rapaport's documentary... Like I said. I went to the show in 2008, but it's been on my radar since then. When I was at the show, I saw the chemistry (i.e. or lack there of) on stage between Q-tip and Phife Dawg. I saw Q-Tip move towards Phife, and watched as Phife more or less refused to take the "charge". In the world of basketball, Phife would've been called for blocking since his feet definitely weren't set. The move looked aggressive. There were rumblings of some drama backstage before ATCQ hit the stage... Don't get me wrong. It was a good performance, but something didn't feel right. It felt "tense". **** ATCQ would latercancel their next performance in Denver. And.. Just in case you don't trust my taste in music and film, you should know that rumor that the film as already been accepted as a 2011 Sundance Film Festival submission.... If you ask me, this documentary has "WINNER" written all over it. 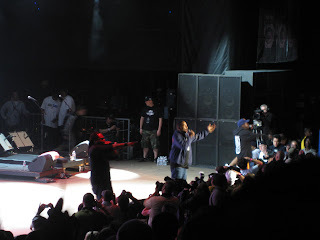 **** If you want to read, Gary's personal recap of the Rock the Bells show from back in 2008, here's the link: http://insideplaya.wordpress.com/2008/09/25/rock-the-bells-chronicles-xi/. All I can say, is that the show's lineup and that the trip to the Yay to Rock the Bells was well worth it! Thanks for one of the most memorable afternoons shared in the annals of hip hop, and all the inspiration, love and support. The playa would have not be savoring the game without your slight, and effective touch. Welcome. Definitely an unforgettable show. All the best. Keep me posted on the latest.